The RNL Partners Program is a community of like-minded companies whose purpose is to maximize the successes of the colleges and universities that RNL serves. As the leading consulting firm in higher education, our campus clients look to us to identify the leading technologies and solutions to maximize their student recruitment, retention, and fundraising efforts. The RNL Partners Program focuses on firms making advances in areas that will move higher education enrollment and fundraising forward—such as advanced analytics, AI and machine learning, behavioral modeling, and application and software development. Drawing on RNL’s enormous repository of data for enrollment and fundraising to further refine their solutions for the higher education market. Having your services included among RNL’s solutions when they are ideally suited for an institution RNL is serving. Sponsorship and speaking opportunities at the RNL events, including the annual RNL National Conference, which attracts more than 1,500 higher education professionals. CampusESP is a strategic family engagement platform that enables institutions to inform the greatest influencers in students’ lives—their parents. From impacting enrollment, to student success, to annual giving—keeping parents effectively engaged has proven to be critical for institutions looking to better support their institutional goals. CampusESP supports that objective through personalized communications and parental alerts delivered via the web and straight to their smartphones. Civitas Learning partners with universities and colleges dedicated to helping more students learn well and finish strong. They provide educators with tools and supporting services that bring together and make the most of their diverse and disconnected data streams; personalize information and support for their students; and deepen understanding of the impact of their student-success initiatives. Through their work together, Civitas Learning and their partners are empowering leaders, advisors, faculty, and students—and measurably improving enrollment, persistence, and graduation outcomes. Today, Civitas Learning partners with nearly 400 colleges and universities, serving approximately 8 million students. Together with their growing community of practice, they are making the most of the world’s learning data to graduate a million more students per year by 2025. 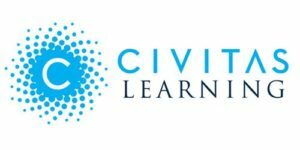 Learn more about the RNL and Civitas Learning partnership. Management; Retention & Student Success; Academic Research; and Data Science Curriculum. GlyphEd software is in use by faculty, students, researchers and administrators—and is credited with attracting non-traditional students, optimizing recruiting travel spend, improving retention; discovering a lifesaving insight in a patient medical study; and improving a student’s performance in the video game Counter Strike. GlyphEd sits on top of existing IT investments in CRM and other systems and data – allowing colleges and universities to get a greater return on IT investments. Learn more about the partnership with GlyphEd. Mongoose publishes content aimed at helping colleges and universities continuously improve the ways they communicate with students, parents, alumni, and donors. They also developed Cadence, higher education’s preferred enterprise texting platform. Their software helps over 400 institutions create instant, meaningful connections with their constituents—and in doing so, achieve remarkable outcomes. Learn more about the RNL and Mongoose partnership. Nearpeer, Inc. serves colleges and universities by strengthening students’ commitment to college, starting with incoming students. Nearpeer achieves higher student enrollment and retention through its innovative peer-to-peer student platform, mobile apps, and machine learning which complement existing programs. Students use Nearpeer to voluntarily find, connect, and engage with each other based on what they have in common: major, shared interests, pathway, life experience, and more. The result is authentic, positive peer influence that increases students’ connection and commitment to their college, resulting in higher enrollment and retention. Learn more about the RNL and Nearpeer partnership. Learn more about the RNL and PlatformQ partnership.